Living a Fit and Full Life: Get a Fresh New Look with L'Oréal Paris! As the biggest beauty brand in the world, L'Oréal Paris has an unparalleled commitment to technology, research and innovation, providing groundbreaking, high-quality products for women, men, and children of all ages and ethnicities. 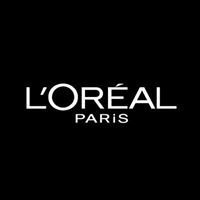 L'Oréal Paris is notably dedicated to celebrating the diversity of beauty – the company’s broad range of spokespeople include Andie MacDowell, Diane Keaton, Jennifer Lopez, Julianna Margulies, Eva Longoria, Doutzen Kroes, Julianne Moore, and Karlie Kloss. Discover our pro-inspired makeup concealer that provides glowing coverage for up to 16 hours. 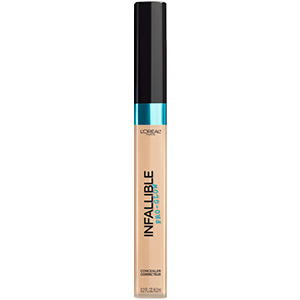 Infallible Pro Glow Concealer can sculpt and highlight features while you correct & conceal imperfections. The lightweight, ultra-blendable longwear concealer allows you to customize your glow with luminous buildable coverage. Discover a pro-inspired face powder that provides a lasting glow finish. With Infallible Pro Glow Powder skin is left feeling smooth, soft and even…never cakey, never shiny. Buff the makeup powder onto skin for a subtle glow, or build highlight onto key features. 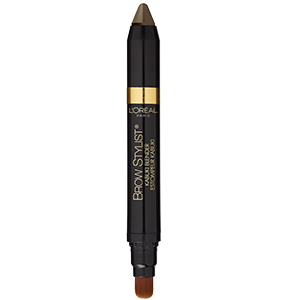 Brow Stylist® Definer TM/MC makes the art of the brows easy. 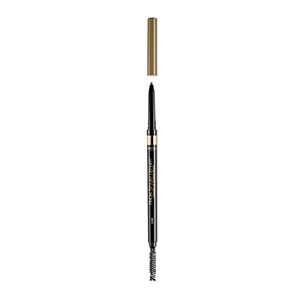 Now brows get their most precise look with this ultra-fine tip brow pencil for shaping and filling in eyebrows. Use mechanical pencil to draw fine hair-like strokes for a natural to well-defined look. Use spoolie brush to blend and style your eyebrow makeup. 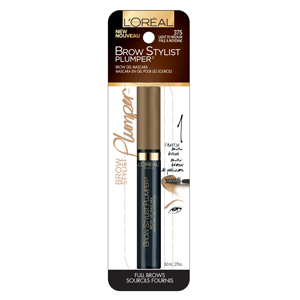 L’Oréal Paris presents Brow Stylist® Kabuki Blender brow makeup. Soft and creamy crayon glides on smoothly and easily for quick, even application. Kabuki brush blends for full looking brows with a soft, natural finish. 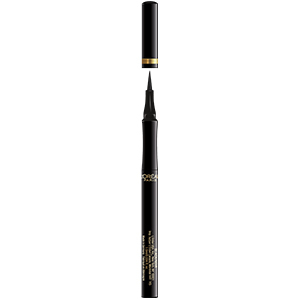 Use lightly for a natural look or build intensity for a statement making brow look. To sharpen point, twist up crayon so there is 1/4” exposed, then use wide opening sharpener to carve a point (just about 1 full turn). To clean brush, use warm water and dry thoroughly. Start with clean, brushed brows. 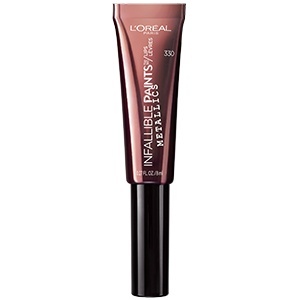 Go Paint Yourself with L'Oréal Paris Infallible Paints Eye Shadow. Layer and customize colors with long wear liquid eye shadow cream duos. Wear alone or blend with other shades. High Impact Color, All Day Wear. Take your lashes to paradise with voluptuous volume & intense length. Soft wavy bristle brush holds the maximum amount of formula. 200+ bristles catch every lash for a dramatic volumizing effect. Silky smooth formula glides on evenly and easily. 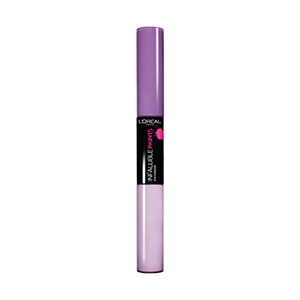 This volumizing and lengthening mascara delivers a full lash fringe that’s feathery soft. No flaking. No smudging. No clumping. Women agreed: 91%* saw intense & volumized lashes and 87%* saw more beautiful lashes. +98% lengthening effect. Get a fresh new look with L'Oréal Paris! 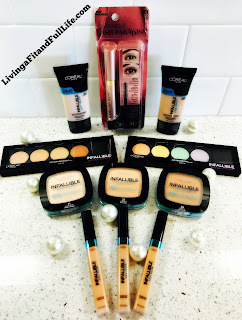 L'Oréal Paris has always been one of my favorite makeup brands since way back in the day. I still remember when a friend of mine had an extra L'Oréal Voluminous mascara and gave it to me to try when I was in high school and boy oh boy did that mascara take my eye makeup to a whole new level! 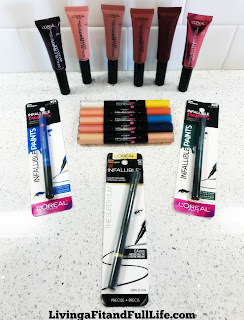 I actually still love L'Oréal's Voluminous mascara to this day but now there's a whole slew of new products to love from L'Oréal Paris that I'm absolutely head over heals in love with! The L'Oréal Paris INFALLIBLE® Total Cover Color Correcting Kit is the all in one color correcting kit that we've all been waiting for! Normally you purchase one color correcting product that works to correct one color such as redness or yellowness but you don't see a kit like this. Most people like myself have multiple color correcting needs so a kit like this is absolutely perfect. Now I can whip out my L'Oréal Paris INFALLIBLE® Total Cover Color Correcting Kit and correct all my skin color issues with ease. I love how well it blends and perfect it makes my skin look! It's a must have! 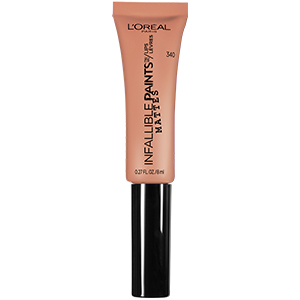 INFALLIBLE® Pro Glow Concealer is another amazing product from L'Oréal Paris that I've absolutely fallen in love with. It has amazing coverage and keeps my tired mom eyes at bay! 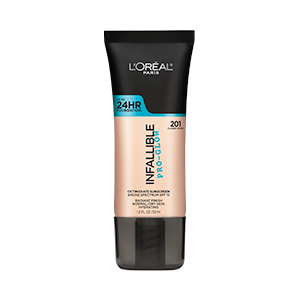 INFALLIBLE® Pro Glow Foundation is a terrific medium coverage foundation that covers all my blemishes with ease! I also love how well this product blends and how long it lasts! It also contains an SPF and is ideal for normal to dry skin. It definitely helps my dry skin to look hydrated and healthy! 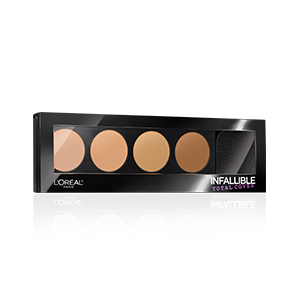 INFALLIBLE® Total Cover Concealing and Contour Kit is your all in one contouring kit that helps you achieve all your contouring goals with ease. Contouring seems to be all the rage right now which is why I love this amazing kit. It's the perfect way to contour like a pro! 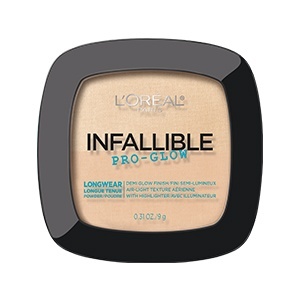 I'm in love with L'Oréal Paris INFALLIBLE® Pro Glow Powder! The shade I have actually matches my skin perfectly which never happens with powders. It blends well and gives my skin an amazingly healthy glow! 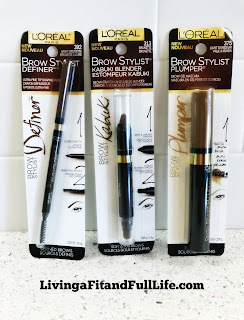 L'Oréal Paris' BROW STYLIST® Definer Mechanical Pencil, BROW STYLIST® Plumper and BROW STYLIST® Kabuki Blender are the perfect products to get the professional yet natural looking eyebrows we've all been dreaming about. I love how natural L'Oréal Paris' BROW STYLIST® Definer Mechanical Pencil makes my eyebrows look. It's the perfect way to add in a few tiny hairs just where you need them most. The BROW STYLIST® Plumper is a must have for people like me with super fine eyebrows and need to add a little thickness to them. L'Oréal Paris' BROW STYLIST® Kabuki Blender is a new favorite of mine because I love how easy it makes filling in my brows. The Kabuki Blender is an awesome feature that really helps to blend everything together for an amazingly finished look! 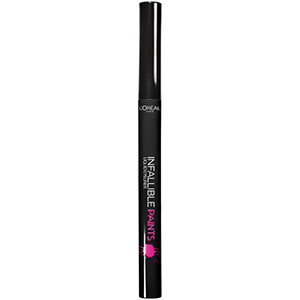 The INFALLIBLE® The Super Slim Liquid Eyeliner is a must have in my beauty routine. I love how fine it is and that I can build my eyeliner to the thickness I desire with ease! It glides on with ease and looks phenomenal! I'm also in love with INFALLIBLE® Paints Eyeliner! I received this eyeliner in Wild Green and I honestly don't know why I've never tried a green shade before because I actually look really good in green. It seems to compliment my eyes the most when I wear a green shirt much like this Wild Green shade of INFALLIBLE® Paints Eyeliner. Anyway, the INFALLIBLE® Paints Eyeliner in Wild Green really compliments my eyes and I absolutely love it! I'll definitely be playing around with more shades of eyeliners in the future and highly suggest you do the same! INFALLIBLE® Paints Eye Shadow is like the perfect eye shadow! It glides on with ease, blends well and looks amazing! 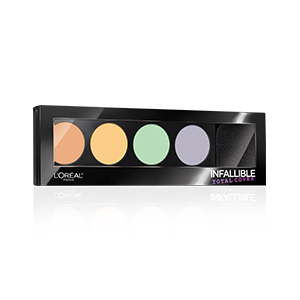 INFALLIBLE® Paints Eye Shadow is the perfect way to get lasting eye shadow. It's available in multiple colors so there's sure to be a few you'll absolutely fall in love with! INFALLIBLE® PAINTS/LIPS Matte and INFALLIBLE® PAINTS/LIPS Metallic are the perfect way to give your lips the pop of color that takes your look up a notch. I'm actually not usually a fan of lip colors but these look amazing and to my surprise I actually really like the metallic shades as well. They stay on well and are just what you need to complete your look! 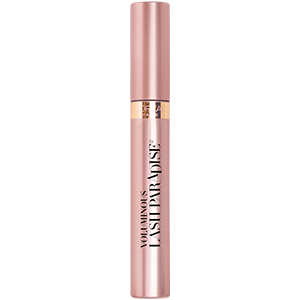 VOLUMINOUS® Lash Paradise Washable Mascara is my all time favorite mascara! Not only does this mascara lengthen and define but I absolutely love how clump free it is. It goes on so well that I can do multiple coats with ease, not that you really even need multiple coats. One coat honestly gives me amazing results and I love that they still feel feather soft instead of hard and crunchy like other mascaras. VOLUMINOUS® Lash Paradise Washable Mascara is the perfect mascara and you guys simply must try it! 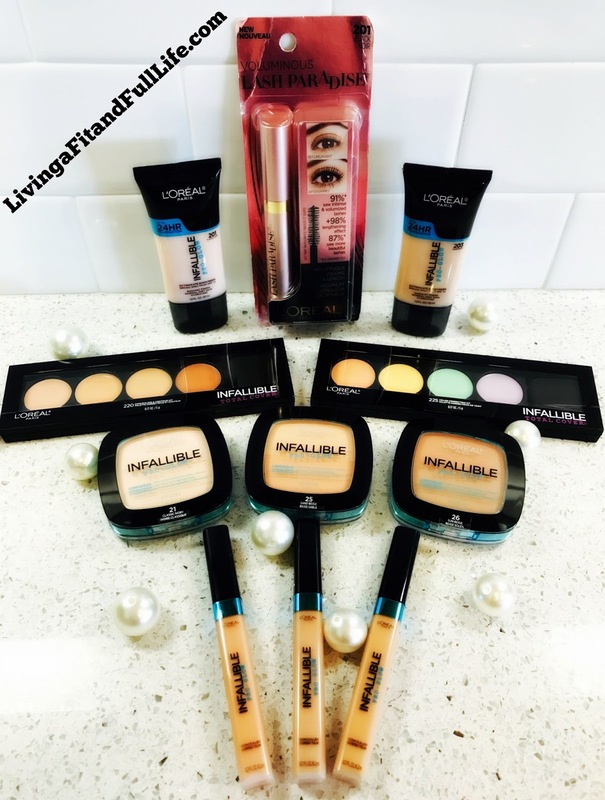 L'Oréal Paris has an amazing selection of beauty products that are sure to take your makeup routine to the next level or beyond!